I found this cartoon over at MADATOMS showing the ages of a pot smoker and I thought it was pretty funny. Oh… and not just because the character looks suspiciously like Ernie. 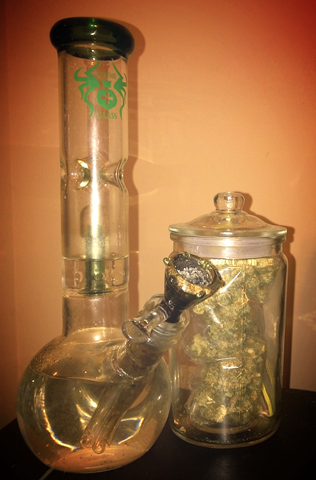 Smokin’ with a friend on Sunday over Skype. 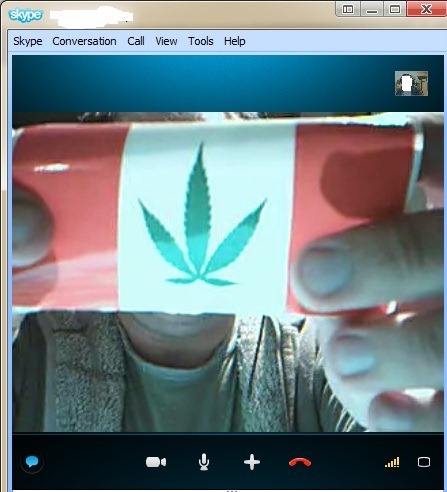 He was showing me the sticker that he uses to scoop his weed with when I hit the print screen button and caught this screen shot. I just had to share the moment!